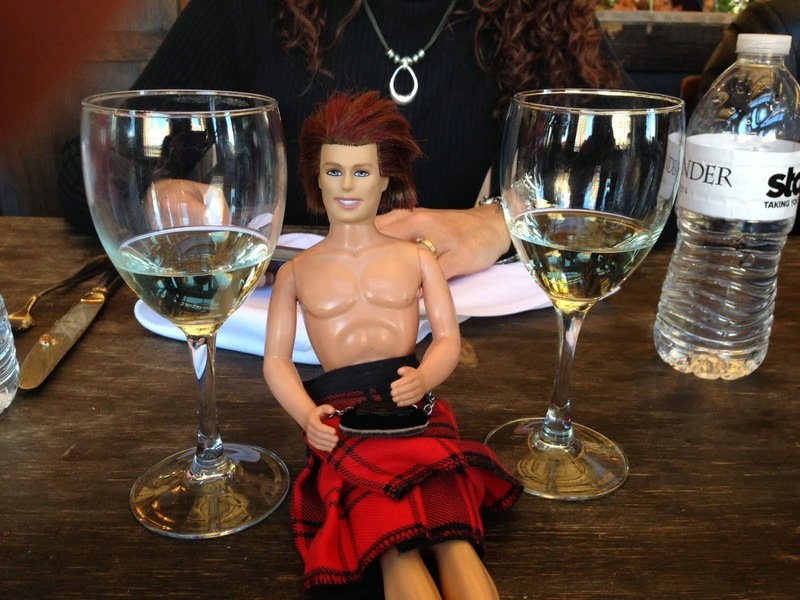 My OUTLANDER Purgatory: Outlandish Observations: Diana/Compuserve SCOOP! SPOILER ALERT: This post mentions a situation in An Echo in the Bone. You have to read THIS POST from Karen at Outlandish Observations and tell me what you think about Diana's comments!!!! "I realized what the Necessary (Horrible) Thing was that had to happen to resolve (or, um, not, as the case may be...) a particular situation." So at chat, we discussed: What does that mean? Would Diana would "off" someone we all know and love! Is it that serious? Or something horrible but not dealing with death? Maybe something just that is unpleasant and tough for us to swallow has to happen to someone we love? Go read Karen's post and let me know what you think!! It has to be Young Ian. He's never really accepted what happened with Emily -- it's an open loop in his life. I bet she shows up and wants him back just days before his wedding to Rachel... or worse, AFTER the wedding! Oh God, I'm scared now, more than before! Let's hope for Roger's sake that it isn't him, again! Oh, K.C. I was just thinking of Ian myself, not in terms of Emily per se, but more the boy, was it Swiftest of Lizards? Fuirich agus chi thu. But for how much longer!!! I'm off to the UK in August and may have to go to Loch Errochty (no great hardship) and let the poor child out of that tunnel myself!! My bet is something dramatic and life changing occurs to a major character, but no death. At least, let's hope. MOP Breaks Down the Outlander Trailer!